Silver Lotto System Reviews are a dime a dozen, they are everywhere and most all have one thing in common, they are FALSE! Google Silver Lotto System Review and you will see mostly all so-called great reviews, but if you look closer these great reviews are written by affiliates selling the system or MR Ken Silver himself! These reviews are ALL false and very much mislead people into thinking this system actually wins lotteries when in fact it does not win what is claimed and all proof shown is highly suspect! We can only find a few real honest reviews on this system that tell it like it really is, the system is B.S! Just because Ken Silver says he is a lottery expert and created a system at home that gives you a 98% win rate does not mean it really works. Ken Silver is actually an ex publisher and now marketer, so how do marketers usually sell their products, they mostly use false advertising just as Ken Silver is doing for his Silver Lotto System. Ken Silver claims he won the lotto jackpot of about $2000,000.00 or so, but yet he cannot prove it why? It’s because there was no jackpot winning period! He cannot even show you up close small real winning lottery tickets, he shows you a group of winning tickets that of course you cannot see or verify, all silly marketing gimmicks. The way Ken Silver the big lottery expert that he claims to be, only makes money buy misleading people to buy his lottery system. We have tried his silly systems as well as many others and the out come was always the same “NO WINNING TICKETS”, so where in the hell are all these winners who use the Silver Lotto System? With a claimed 98% win rate there should be tons of them, but sorry again just hype or what I call lies to sell a virtually useless system. If You need more proof the system does not work, just checkout any reputable lottery system review site, they all warn you about this system and recommend to stay clear of it, must be a good reason right? Ken Silver is now posted on Rip-off sites, scam sites, and many forums that warn you not to buy into his shady systems and selling tactics. One person even had their credit card billed over and over again by Ken Silver even after cancelling the system purchase, very scary! Also why all the system name changes? First Ken Silver called his Silver Lotto System, “Honest Lotto” but after a while changed it to the Silver Lotto System and now has the 1-Minute Silver Lotto System. Any seller who changes names over and over is trying to hide the past and start new, another big red flag telling you, not a good choice! This is not just my opinion, there are many people complaining about this Silver Lotto System after they find out the hard way, it simply does not work as advertised and you will most likely never get a refund, as reported again by many people who have tried the system. 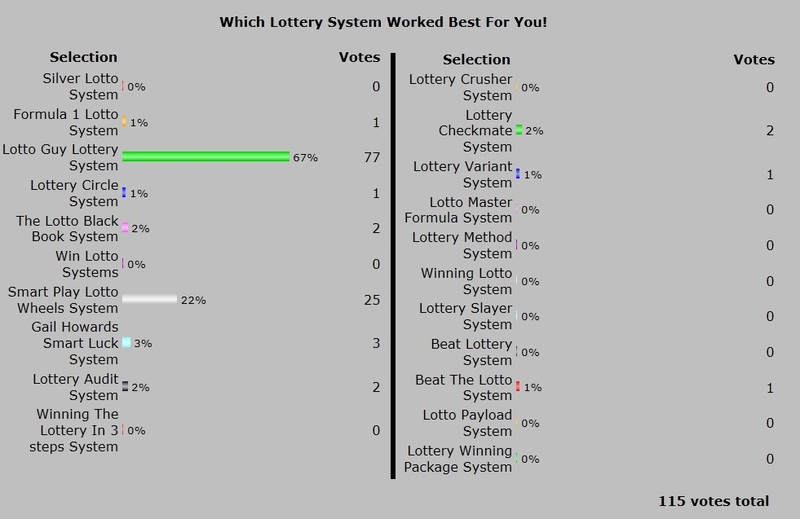 If the Silver Lotto System was in fact a great winning lottery system giving you a real 98% win rates, then why on the latest best winning lotto systems poll results no people voted for that system? You cannot fake polls like testimonials and so on , so here stands before you again PROOF! the Silver Lotto System is nothing but silliness! My review is real, no affiliate lies here, just real Truth! This entry was posted in Lottery and tagged 1 minute silver lotto system, Silver Lotto System, silver lotto system review by admin2. Bookmark the permalink.